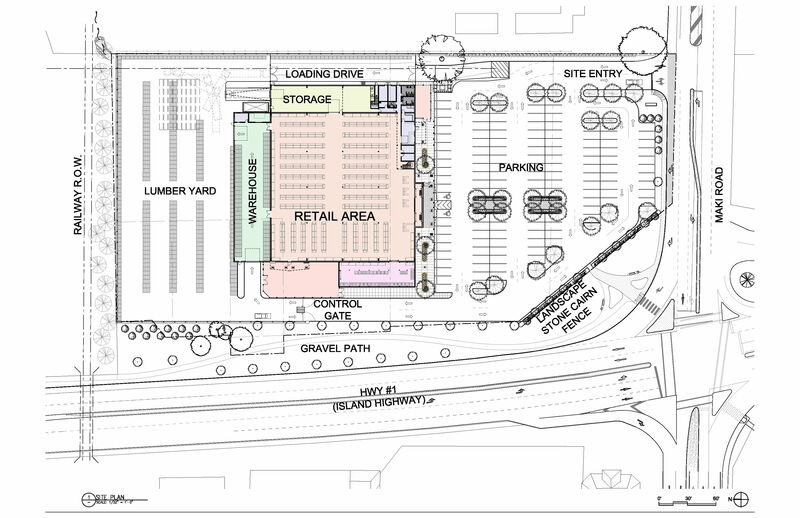 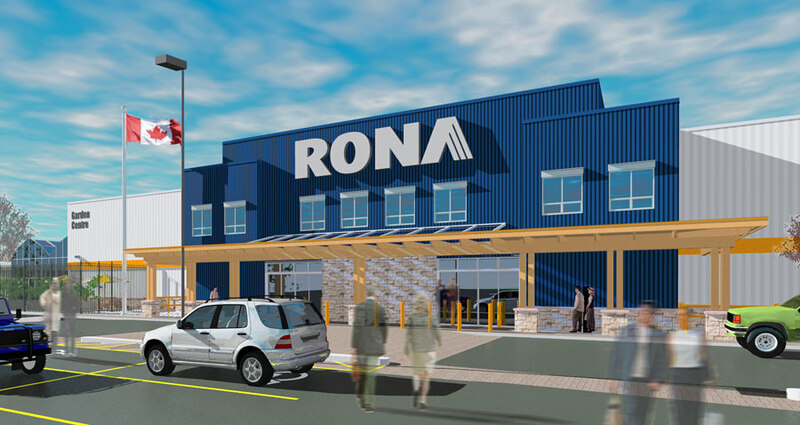 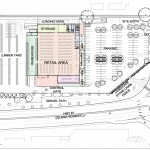 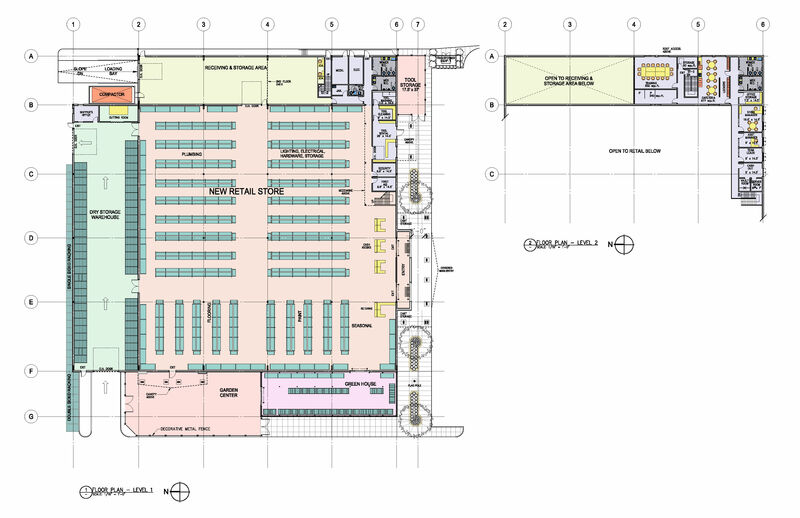 Following successful completion of the Cobble Hill RONA, Pacific Building Systems and their construction division, Canarc Construction Ltd., asked our firm to coordinate the design for a 76,000sq. 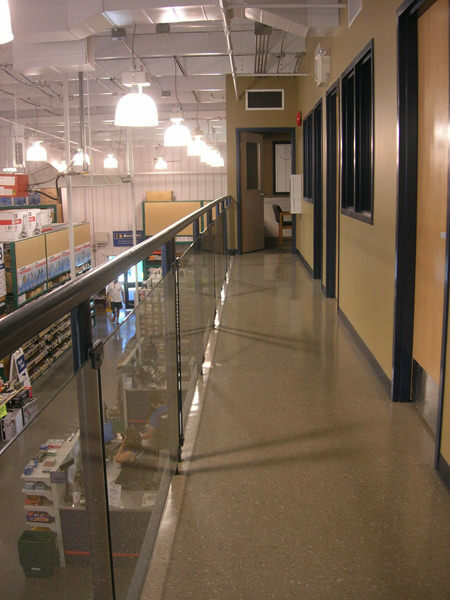 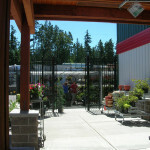 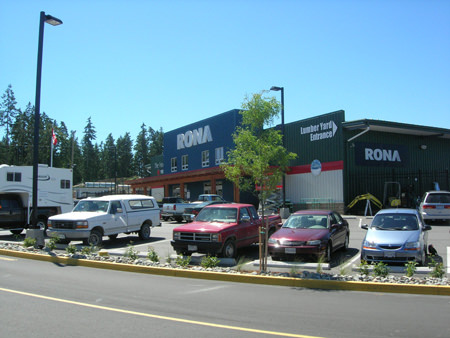 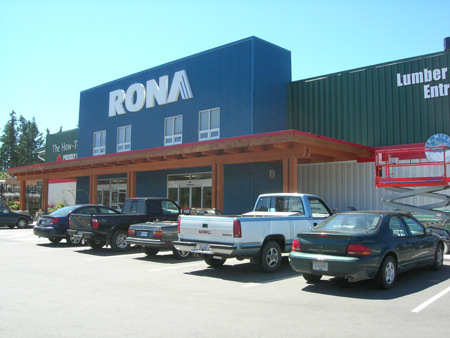 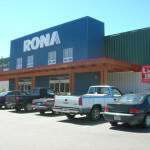 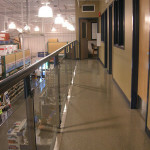 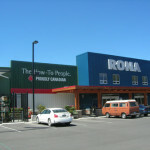 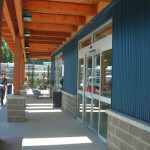 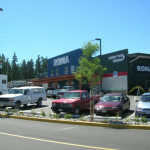 ft. RONA Home Centre in the ‘Cowichan Commons’ retail centre located on Vancouver Island’s central Trans-Canada Highway. 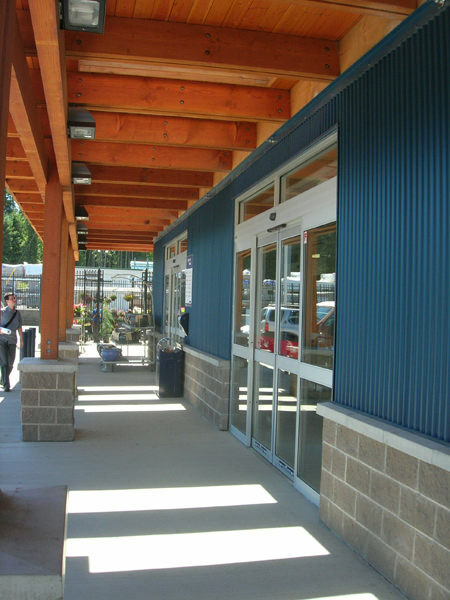 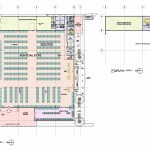 The pre-engineered building is a 25 ft. high–bay structure enclosing retail and ‘warehouse’ drive-through function for construction trade sales. 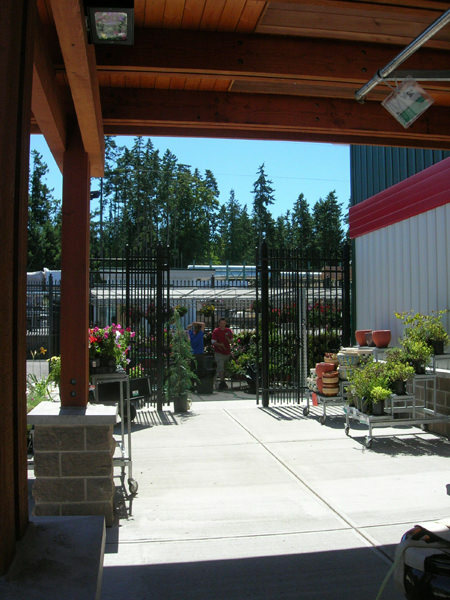 A custom two-storey, wood-timber entry structure with 2nd floor administrative offices and adjacent ‘Garden Centre’ greenhouse is incorporated to appeal to the walk-in homeowner retail trade. 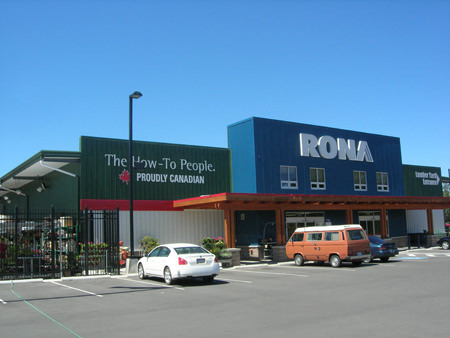 The building is finished, signed and landscaped to meet local planning objectives set by the Municipality of North Cowichan and to meet the ‘rural’ design theme established for the retail centre.